When rude Prince Pompom disobeys his parents and goes off into the woods, he encounters the very witches his parents are trying to protect him from. Fortunately, sensible Laura Jones is on hand to rescue the ungrateful boy and sort out the witches who turn out to more misunderstood than evil. 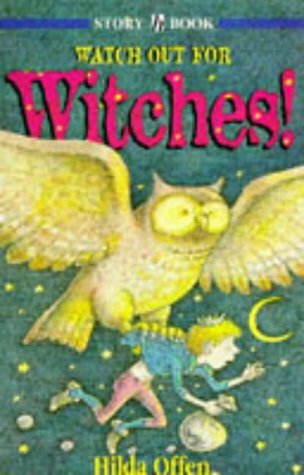 Each adventure has a separate chapter and my young readers enjoyed reading the ones about their favourite witches. Illustrated with Offen's delightfully amusing and distinctive line drawings.